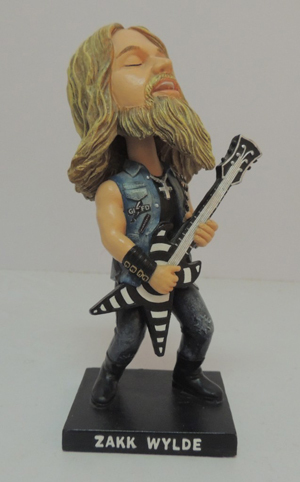 Zakk Wylde, the founder and leader of BLACK LABEL SOCIETY, will be the next rocker to receive his own figure in the Guitar Gods series. This figure representing the American musician, songwriter, multi-instrumentalist is limited to 1,500 numbered units, stands at 7” tall, and is made of a lightweight polyresin. This item is in stock and ships immediately. All Guitar Gods figures are available at many independent retailers, comic shops, tattoo parlors, etc via distribution by MVD Entertainment Group - a company specializing in music-related distribution since 1986. Check out a trailer below and place your order right HERE.